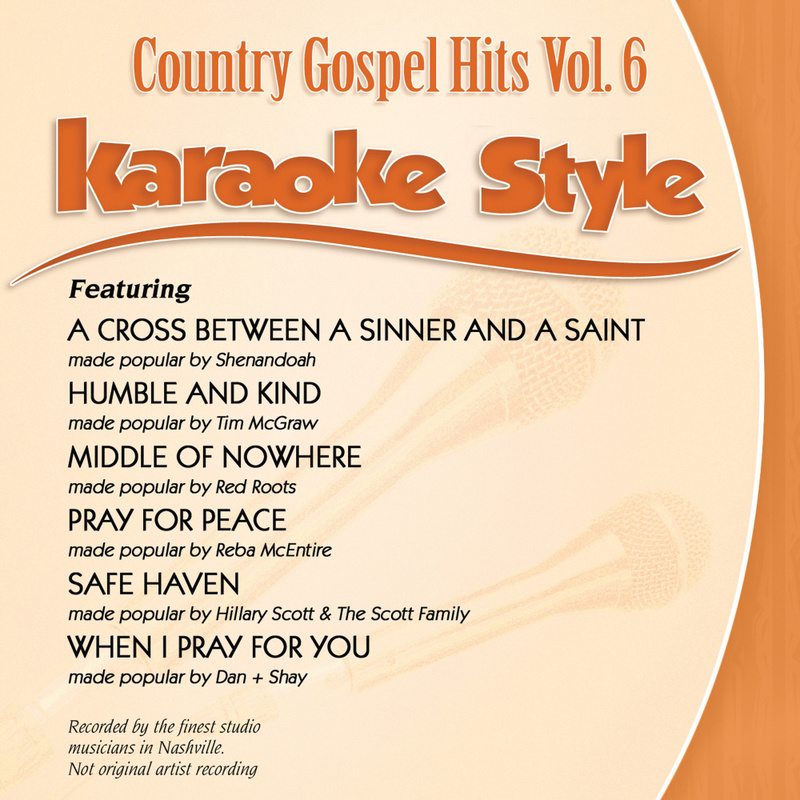 Country Gospel Hits Karaoke Style, Volume 6 features 6 songs enhanced with CD+G graphics. 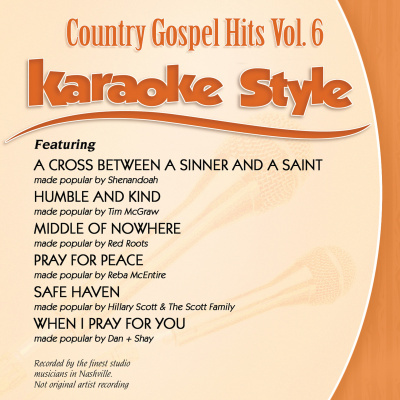 Each CD also includes a vocal demonstration of each song and a lyric sheet. 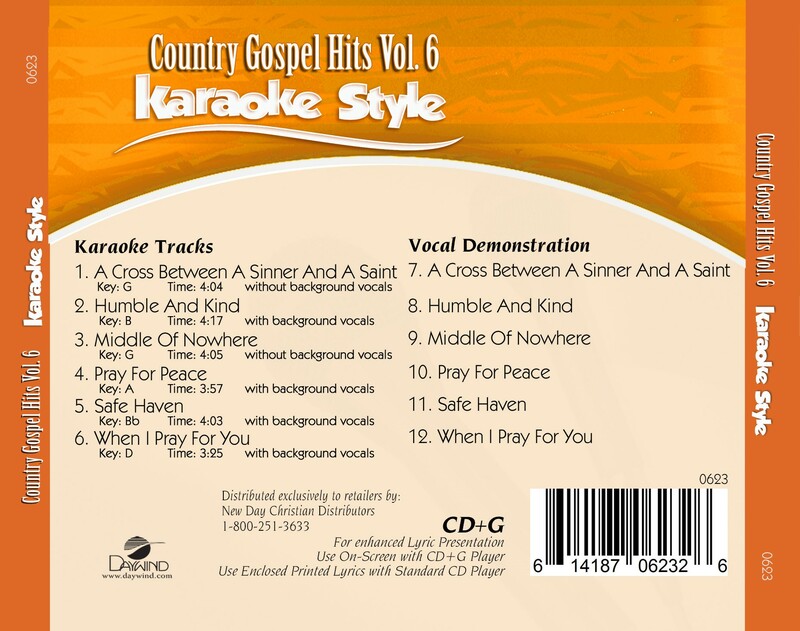 All Karaoke Style titles work in standard CD players and Karaoke machines.